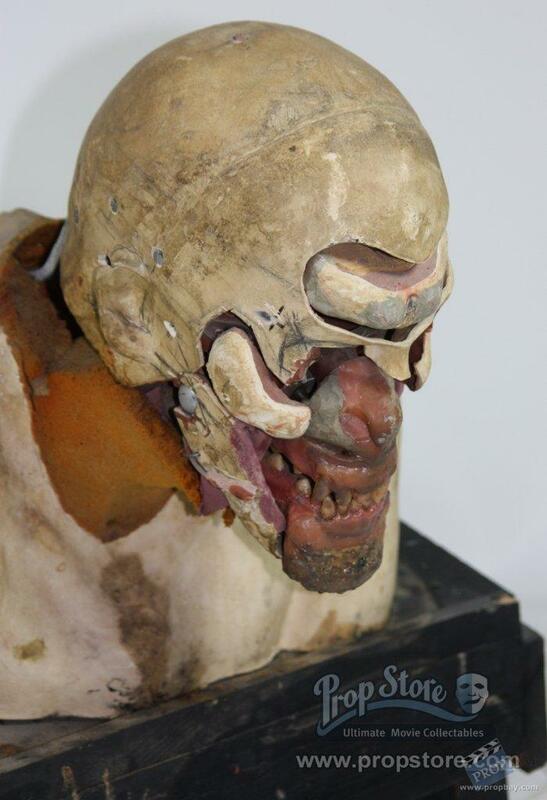 Fully animatronic werewolf head used in the 1981 classic. This amazing prop was made by multi Oscar winner Rick Baker for the main transformation seqence when David Naughton first beomes the werewolf. Two other mechanical heads, performing other elements of the transformation were also used for the one shot. Sadly, the fur and creature details have not survived. But that now revelas an insight into genius of its creation. Added: 01-06-2012 - Viewed: 2406 times.